1. Print: £30, Gayle Mansfield. 2. Vinosource cracker: £10, Caudalie. 5. Kids wellington boots: £35, Hunter Boots. 6. Unicorn snot: £7.50, Paperchase. 7. Bowl: £14, Dassie Artisan. 8. ‘Stalker’ candle: £32, Boy Smells at Cissy Wears. 9. Popsocket (to hold your phone): £12, Mutha Hood. 10. Vase: £19.50, Marks & Spencer. 11. Pig wrapping paper: £2, Tiger (in store only). 12.‘In Paris: 20 women in the city of light’: £11.32, Amazon. 13. Udderly Gorgeous bath and shower gel: £18, Cowshed. 14. Glitter reindeer bag: £14, Marks & Spencer. 16. Fleece jacket: £69.99, Zara. 17. ‘Ibiza’ book: £60, Net A Porter. 18. Zip pouch: £20, Elizabeth Scarlett. 1. 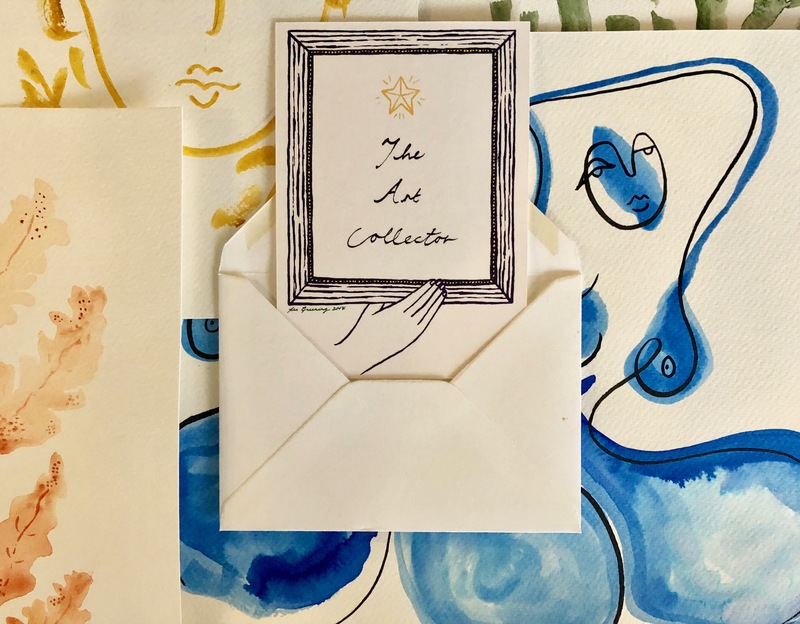 Art Collectors gift card: from £50, Partnership Editions. 2. Indytute: a website of amazing experiences for Londoners, from upcycling vintage china to taking a phone photography tour of the city. From £10, Indytute. 3. Buy a gift such as a ‘New Baby Box’ for someone less fortunate: £50, Centre Point. 4. Frozen meal delivery vouchers: from £10, By Ruby. 5. 3 month subscription to ‘Rare Birds Book Club’, £47, Rare Birds Book Club. 6. One year Tate Membership: from £76, Tate. 7. Christmas dinner delivered: from £12.99, Hello Fresh (you don’t need to be a subscriber but deadline is 16th December). 8. Flower subscription delivery: from £18 a month, Bloom & Wild. 9. National Art Pass membership: from £67, Art Fund. 10. Oxfam gifts: £5-£25 (you can buy safe water, honey bees or even a pile of poo! 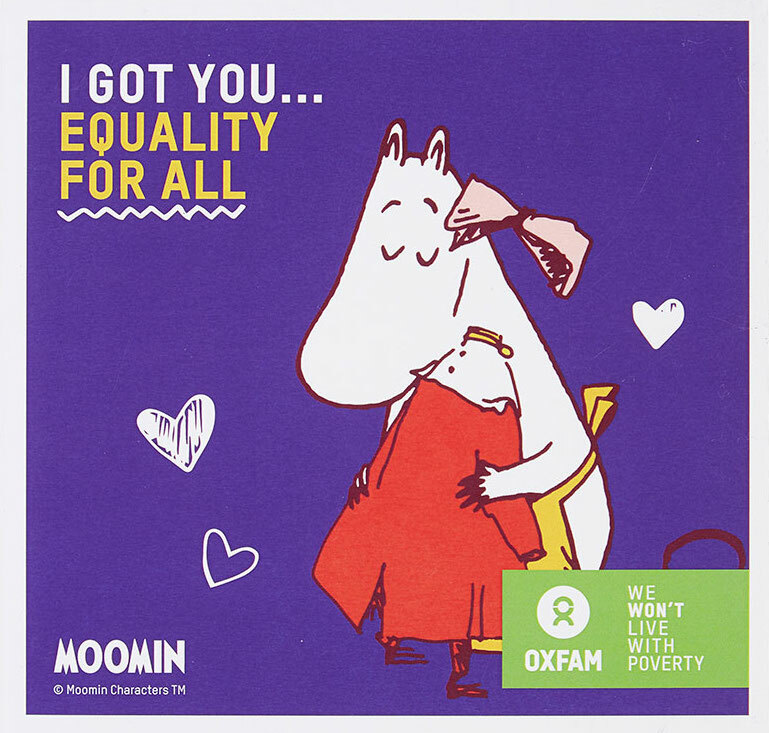 ), Oxfam. 11. Yearly book subscription service: £12 a month, Reading in Heels. 12. Beauty treatment voucher at your home: from £20, Ruuby. 13. Send a child a book this Christmas: £10, Booktrust. 14. Coffee subscription: £24 a month, NovelloUK at Etsy. Can really see the work you have put in to these, Alex. They are fill of things I want, so I’m not sure if the things I have ordered as “spare” gifts will actually make out of my house…….. Have you decided on your wrapping this year? Duh, *full*, I’m blaming Christmas brain…. Thanks a lot for posting such a nice blog. You have done a great job. Thanks again for sharing this. Help, I love EVERYTHING so far! Each day gets better and better. Thank you for including the giving to others ideas like Centrepoint and Book Trust…what wonderful initiatives! 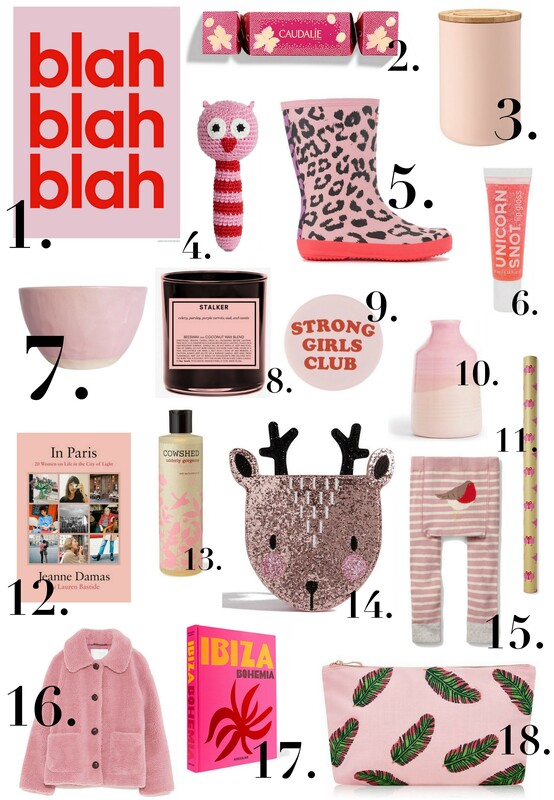 These are really thoughtful and inspiring gift guides. I love the colour themes.